Mobile phones may be must-have accessories but no one wants to pay over the odds for a contract. Scarily, new research from consumer watchdog, Which? has revealed that 75% of us are doing just that – and it’s collectively costing Brits £5.4 billion a year. Ouch. The biggest culprits for overspending are paying for minutes, texts and data you don’t use or being charged for going over your allowance. Most of us don’t know our exact usage so over or underestimate. New smart tools like CTRLio are designed to fix this. CTRLio will safely analyse your online bills, work out your maximum usage and help you use this information to match deals to your actual needs. Once your contract expires, it’s time to find a new one. Contracts usually cover handset costs, which are paid off by the end of the term. If you don’t switch, you risk overpaying and missing out on better deals. If you’re unsure when your contract ends, CTRLio can send you a reminder a month before your renewal date. Not all contracts are the same so check the terms before you sign. Things to look out for are: contract length, handset price, roaming costs and charges for going over your usage (which hopefully shouldn’t happen now your contract has been matched to your usage). Usually, longer contract terms equal cheaper deals. This is great if you don’t mind sticking with the same phone for 12-24 months but watch out for costly fees if you want to upgrade sooner. Handset prices also vary considerably. Free or lower cost handsets might seem like a bargain but higher monthly fees could mean you pay more in the long run. If your phone’s in good condition, you may be better off with a SIM only deal. According to data from CTRLio, SIM only deals can save people an average of £350 a year. If you have old phones gathering dust, turn them into cash by recycling them. Phones need to be in good condition and able to switch on. Make sure you use a reputable company and delete all your personal information first. If you’re not sure how to do this, check out the Which? guidelines below. 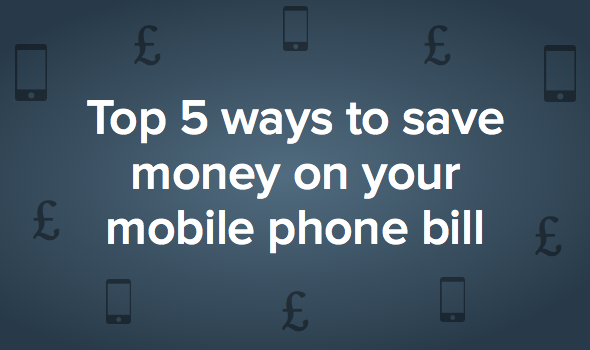 Find out if you’re paying too much for your mobile phone and what you can do about it.